Embracing mobile technology in their everyday working life seems to be second nature for the new generation of physicians – especially the ones who have graduated post 2000. It has provided them with the privilege of staying connected with their work outside the medical premises. It has given them the flexibility to access patient charts through their Electronic Health Records (EHRs), use clinical decision support systems, refer online drug information, take relevant notes, check references and do many more things on the move. The biggest benefit has been in terms of the improvement which has happened in terms of provider-patient communication. Improvement in their ability to provide guideline-based care and track patients’ markers of disease control over time. Amidst all this, one area which has seen a lot of enthusiasm amongst the young generation of physicians in the use of smartphones and apps. Although the debate for how much real value apps bring to the table continues, its use has been on the rise. From using them to attend medical education training online to prescribing them to patients as an alternative to a face-to-face meeting, most of them do not seem to have any hesitation is trying out various available possibilities. Infact there is a strong belief that judicious use of smartphones and apps will result in saving millions of dollars otherwise spent in unnecessary hospital visits and surgery. 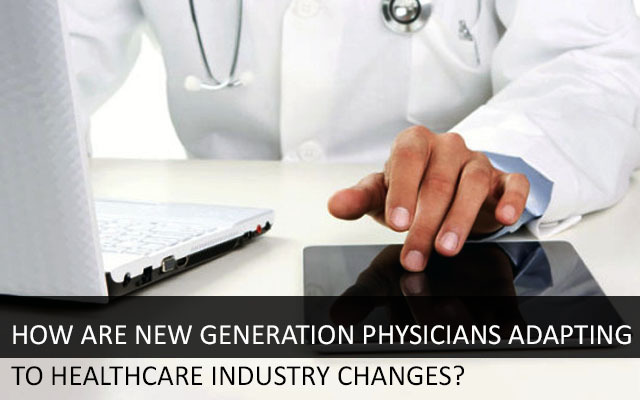 As Healthcare industry undergoes major changes, for the better, physicians are also required to develop new skills and acquire new competencies so as to not fall behind expectations. With the push of healthcare financing more towards value-based payments rather than volume based, clinicians will have 3 major objectives. In order to achieve the above, they will be required to better utilize evidence-based practices, work in inter-professional teams and coordinate care across settings which would also include other providers. Hence moving forward, the need of the hour is to have physicians who are excellent in interpersonal and communications skills and an penchant towards collaborating with others to provide cost effective care. On the part of the hospitals, it has become imperative now to invest in the training of their existing staff in order to address the gaps and avoid the risk of becoming redundant. To leverage maximum benefits of healthcare software development, it is highly essential to spend proportionate amount of budget and efforts in training. We provide healthcare software maintenance services. With a large team of certified programmers & healthcare software testers, working with us with ensure near-zero training costs. To speak to one of our developers, please get in touch with us at Mindfire Solutions. This Post was posted in Health Care and tagged Develop Electronic Medical Records, emr software developers, healthcare application testing, healthcare software development, healthcare software integration, healthcare software maintenance, healthcare software testers, iphone healthcare app development, mobile health app development, outsource healthcare testing services. Bookmark the permalink.